Make Mother's Day a day to remember with this list of the top Mother's Day activities in Vancouver. Find the perfect way to thank your mom, whether she wants to spend the day relaxing alone, with her friends, with her partner, or with her whole family. Start the day off with a fabulous Mother's Day Brunch. 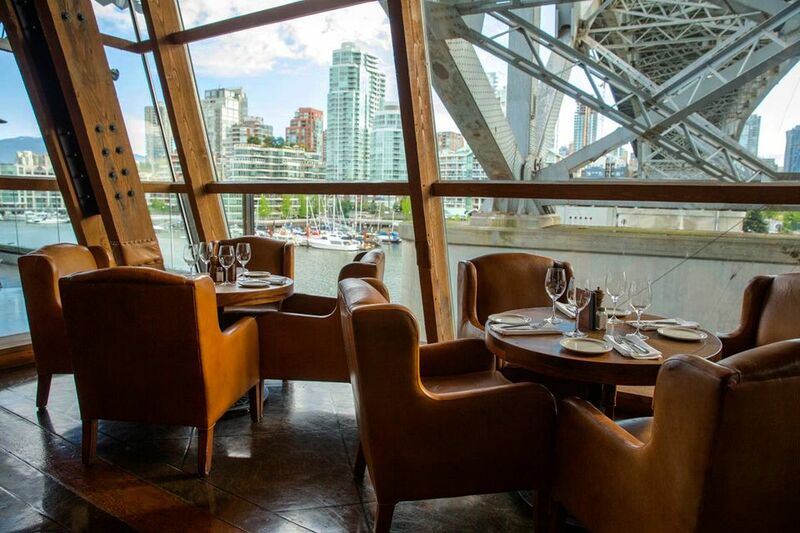 Vancouver has lots of options for Mother's Day Brunch, ranging from lavish and opulent buffet brunches at top Vancouver hotels to brunches at great locations (where you can make a day of it), to more family-friendly (and budget-friendly) options. If Mom loves scones, tea and dainty china cups, take her for a Mother's Day Afternoon Tea at one of the best afternoon teas places in Vancouver, which include the fancy Afternoon Tea at the Castle at the Fairmont Hotel Vancouver and Afternoon Tea at Truffles Cafe at VanDusen Botanical Garden. If the weather is good and a fancy meal isn't in the budget, create a Mother's Day feast to remember at Stanley Park. You can make reservations for a picnic in the park. There are plenty of great family activities to do at the park, too. Bike or stroll the Seawall or take Mom for a walk through the blooming gardens. Moms don't always treat themselves as well as they treat their families, so why not give Mom the gift of relaxation and indulgence at a Vancouver spa? If spa prices are too hefty but Mom could really use a massage, the student sessions at the Vancouver Pacific Institute of Reflexology are only around $20. These sessions are only on Tuesdays--you must book ahead--and would make a great, inexpensive gift. When was the last time Mom went to the Vancouver Art Gallery? Bonus: Kids 12 and under get in free on Sundays, including Mother's Day! Lots of flowers and plants in Vancouver's gardens are in full bloom by mid-May, just in time for Mother's Day. Strolling the gardens at Queen Elizabeth Park or Stanley Park is free, or you can splurge a little and spend the day at VanDusen Botanical Gardens after brunch at the Shaughnessy Restaurant. Maybe what Mom wants more than a surprise gift is a day spent shopping for her own gift. If Mom loves to shop, take her to one of Vancouver's great shopping districts and top it off with a fabulous dinner out. Head Downtown for Robson Street shopping, shop W 4th Avenue in Kits and South Granville or spend the day exploring Chinatown. Is Mom a new parent? Check out Vancouver's best baby stores. If you're looking for a fun family outing on Mother's Day that won't get ruined by rain, why not take in a show? The Arts Club Theatre has the musical Billy Elliot, or find the perfect show for mom via the complete theatre listings at GVPTA's online Vancouver Theatre Guide. If the one thing Mom really wants this Mother's Day is time to herself--or just a silent house--give her the gift of free babysitting and take the kids for the day. A trip to the Vancouver Aquarium will take at least three hours, or take the kids to a park for a game of soccer or tennis. There are plenty more ways to keep the kids busy. Fine dining can be pricey, but if there's ever a time to splurge it's treating your mom on Mother's Day. Or, take her to a restaurant with a nice view or one that serves great seafood.